Simran Bir is a Royals basketball player and Douglas College student. In this video, Simran shares shooting tips and reveals how she deals with a hearing impairment. 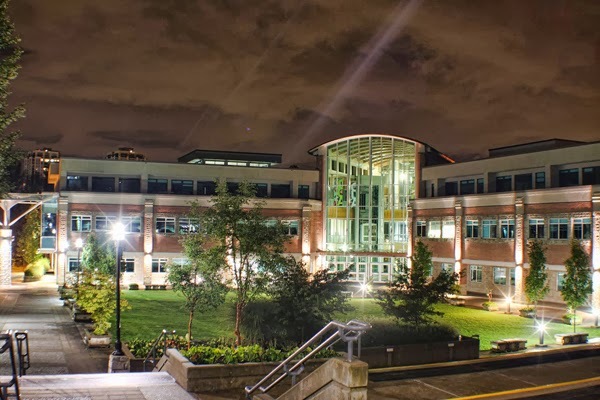 This week at Douglas College: Student Research Day, renewable energy forum and more! 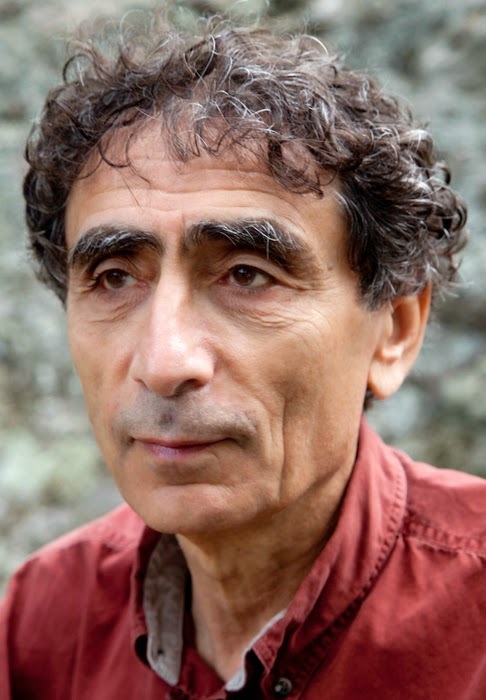 Gabor Maté, a bestselling author and expert on addiction treatment, will discuss our “toxic culture.” More info here. Students will set up displays on a variety of research topics. More info here. 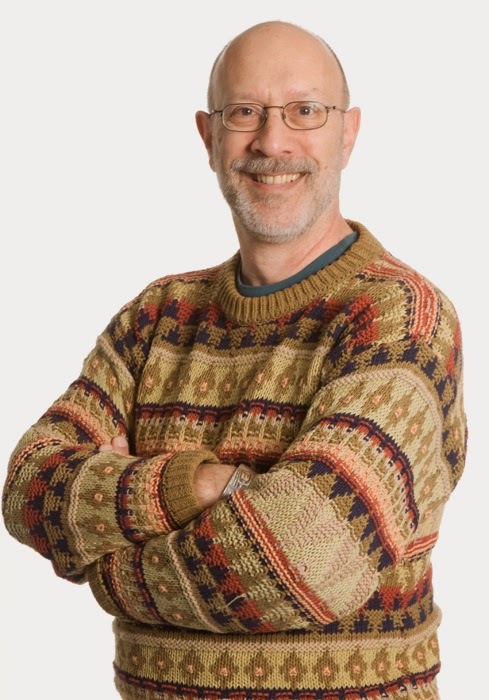 Mark Winston, a Simon Fraser University insect expert, will discuss how to improve scientific communication with the public. More info here. A forum on renewable energy featuring speakers from FortisBC, Endurance Wind Power and the City of New Westminster. More info here. 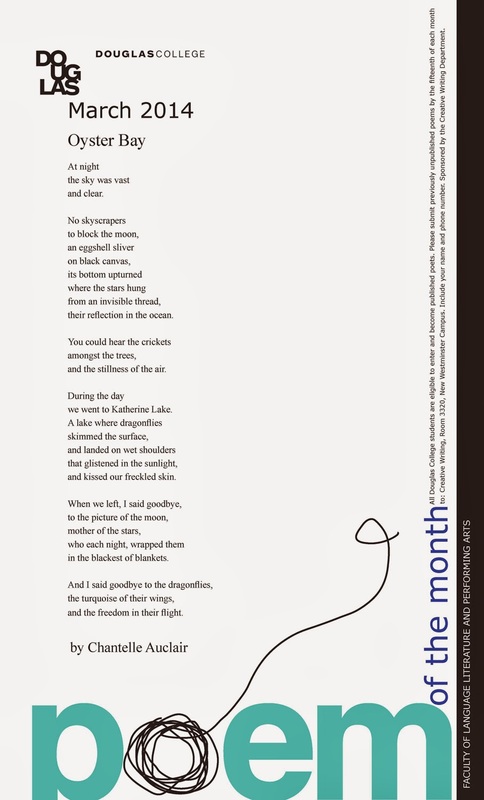 Click on the image to the right to see an enlarged version of this month’s poster, featuring "Oyster Bay” by Chantelle Auclair. It's no easy task to sift through the flood of scientific evidence and opposing viewpoints that emerge when people debate critical health and environmental issues. So what can be done to improve the way science is communicated to the public and help people make sense of it all? Mark Winston, a Simon Fraser University insect expert and frequent public commentator, is visting Douglas College to talk about just that. Winston's free, public talk will focus on the key issues of genetically modified crops, pesticide use and declining bee populations. The talk takes place on Wednesday, April 2 from 1-2:30pm in the Laura C. Muir Performing Arts Theatre on the Douglas College New Westminster campus. 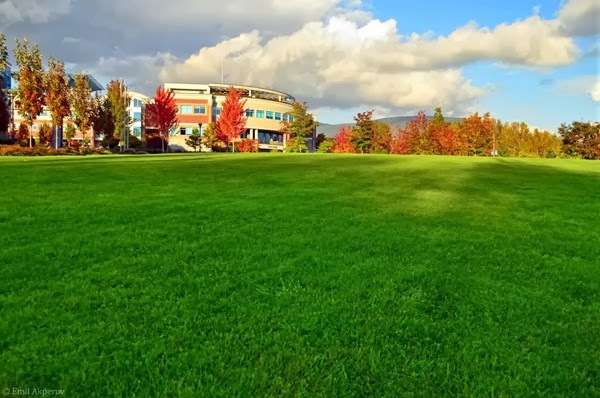 This week at Douglas College: UNIBUG forum, President’s budget forum and more! Vendors will be selling pottery, African art, jewellery, clothing, South American art and crafts and much more. Proceeds from table rentals go to support the Alumni Bursary. Visit the interactive booths to get an assessment, enter a contest, have a mini massage, or learn strategies to combat stress and anxiety. There will be something for everyone. More info here. Students are invited to join President Scott McAlpine to learn about the 2014-2015 budget. More info here. Learn about the UNIBUG project, the importance of pollinators and fighting garden pests the natural way. More info here. Douglas College students are ready to have their brains picked about research projects they have conducted on variety topics. 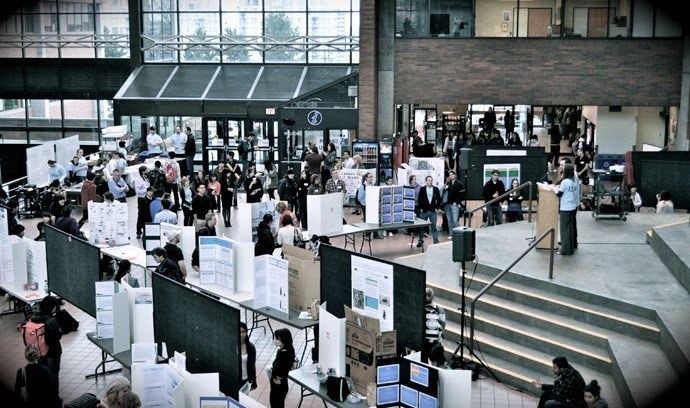 Over 30 displays will take over the New Westminster campus concourse for Student Research Day 2014 on April 1 from 2-5pm. Everyone is invited to check out the displays and learn about caffeine's effect on memory, female objectification in video games, garbage floating in the Pacific and more. Student researchers will be on hand to answer questions about their projects, conducted either for a course or through independent study based on their own interests. Gabor Maté visits Douglas College to talk "toxic culture"
Gabor Maté, a bestselling author and expert on addiction treatment, is visiting Douglas College as part of the Students' Choice Speaker Series. Maté's talk, which is free and open to the public, will explore what having a cultural obsession with material gain means for people's health. Maté, a physician who has worked for more than a decade on Vancouver's Downtown Eastside, was invited by students in the Faculty of Child, Family and Community Studies, and the Faculty of Health Sciences. The presentation, titled "Toxic Culture: How Materialistic Society Makes us Sick," takes place on Monday, March 31 from 10:30am-12:30pm in the Laura C. Muir Performing Arts Theatre on Douglas College's New Westminster campus. A new Douglas College study on pollinators is looking into what’s buzzing in local gardens. The college’s UNIBUG (User Network for Insect Biology in the Urban Garden) team is working with community volunteers on the research. For the study, the volunteers will place small, homemade bee houses in their gardens to attract the insects. The volunteers will then periodically monitor the bee activity, from spring to fall, and report their findings. “I think it’s inherently valuable to look into this,” says Veronica Wahl, UNIBUG Coordinator. The study isn’t looking at the common honey bee. Instead, the focus is on a variety of solitary bees known as leaf cutter and mason bees. “They don’t make honey. They almost never sting people. In nature they nest in hollow stalks,” Wahl says. The researchers are able to take advantage of that preference for laying eggs in hollow stalks to attract the bees. The bee houses volunteers place in their gardens will be filled with clusters of paper tubes. The idea is to simulate the kind of nesting spots the bees seek in nature. “To the bees, this looks like a hollow stalk and so they use the tubes to lay their eggs inside,” Wahl says. While bees are the focus, the UNIBUG team will also study what other pollinators like hummingbirds and butterflies are up to in gardens. 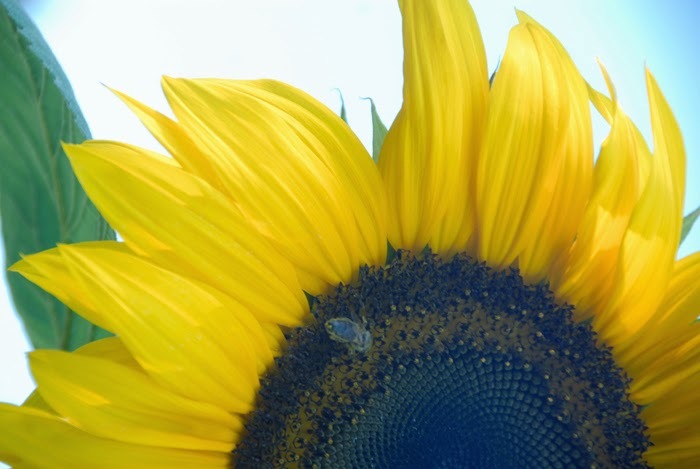 The pollinator research adds to UNIBUG’s existing work investigating how predatory and parasitic insects can control garden pests. For those who want to learn more about the project, the 3rd-annual UNIBUG forum takes place on Saturday, March 29. The free, public event is being held in room 2201 on the Douglas College New Westminster campus from 10am-12pm. This week at Douglas College: A Dream Play, Speaker Series, Pearls book launch and more! The departments of Theatre and Stagecraft & Event Technology present an adaptation of A Dream Play by August Strindberg. More info here. The Students’ Choice Speaker Series presents a talk about the future of the publishing industry. More info here. Visit the interactive booths to get an assessment, enter a contest, have a mini massage, or learn strategies to combat stress and anxiety. More info here. The Creative Writing department is launching the 2014 edition of Pearls, an anthology of student writing. More info here. being inspired, captivated, moved and entertained. Take a break from the textbooks and pick up a copy of the 2014 edition of Pearls, an anthology that collects the best work Douglas College Creative Writing students have to offer. "It is such a pleasure to put together this showcase of outstanding student writing," says Calvin Wharton, Chair of the Department of Creative Writing. "I think readers will be surprised and delighted by the quality and variety of work in this year's edition." Published annually and sold in the campus bookstore, Pearls features fiction, poetry, personal narrative and scripts written by students. The 2014 edition has 65 student contributors. 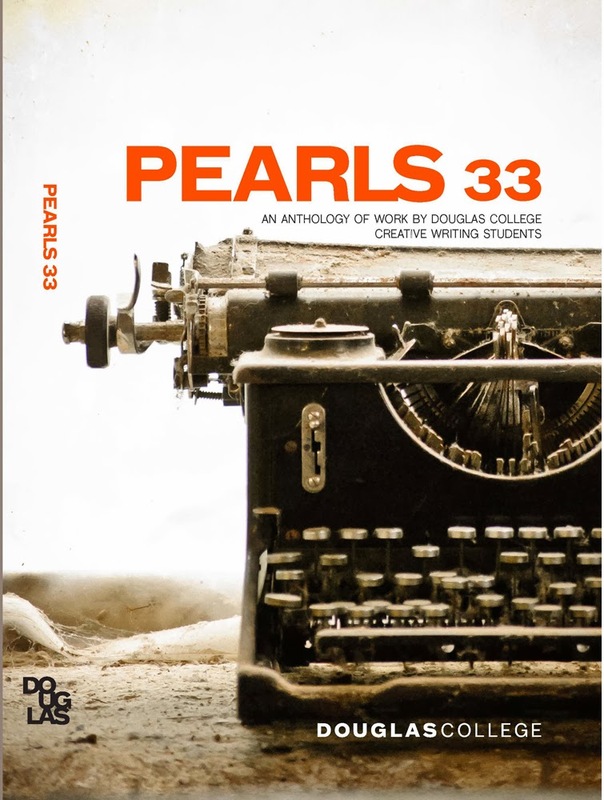 A book launch for Pearls 33-the title of the latest edition-takes place on Friday, March 21 at 7pm in the Studio Theatre on the Douglas College New Westminster campus, 700 Royal Ave., New Westminster. The event will include readings by students and an awards ceremony. More information about the Creative Writing program is available here. Nathan DeWall believes in the power of self-control. "We all have heroes who motivate us to become better versions of ourselves and the success of those heroes relies on a common ingredient: self-control," says DeWall, a psychology professor at the University of Kentucky. DeWall will lay out his ideas on the science of self-control during a talk at Douglas College on March 18. "I want to explain the science of self-control and show people that we aren't as different from our heroes as we think. We all have what it takes to achieve our goals," he says. The talk will draw on cutting-edge science to show how self-control helps us have better lives, stronger relationships and improves societies. According to DeWall, by understanding why self-control is important and how it works, people can accomplish more than they ever thought was possible. DeWall holds a PhD in social psychology from Florida State University and has had more than 120 scientific articles and chapters published. 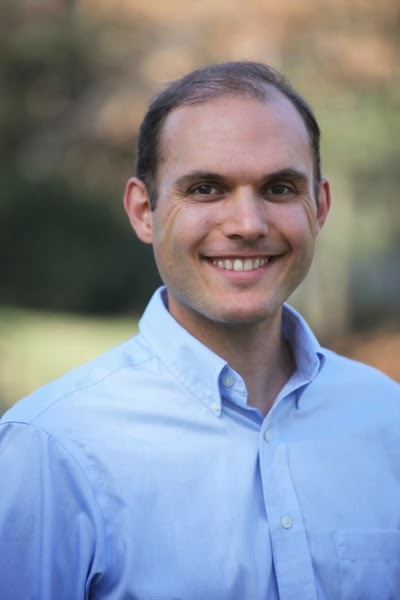 He is also director of the Social Psychology Lab at the University of Kentucky. 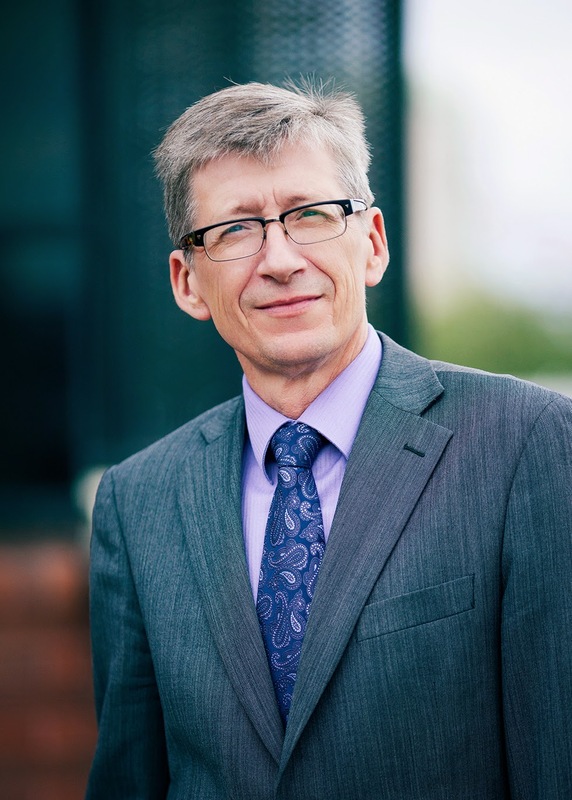 His talk, titled Taming the Impulsive Beast: Self-Control as Our Greatest Human Strength, takes place March 18 from 12-1pm in room 2201 on the Douglas College New Westminster campus. Check out this video for a glimpse inside the Douglas College Veterinary Technology program. Under faculty supervision, students get hands-on experience working with dogs and other animals as they train for careers in the veterinary field. Want to pick up some books, movies or music while supporting the publication of great Canadian literature? EVENT, Douglas College's long-running literary magazine, is holding its annual fundraising book sale. 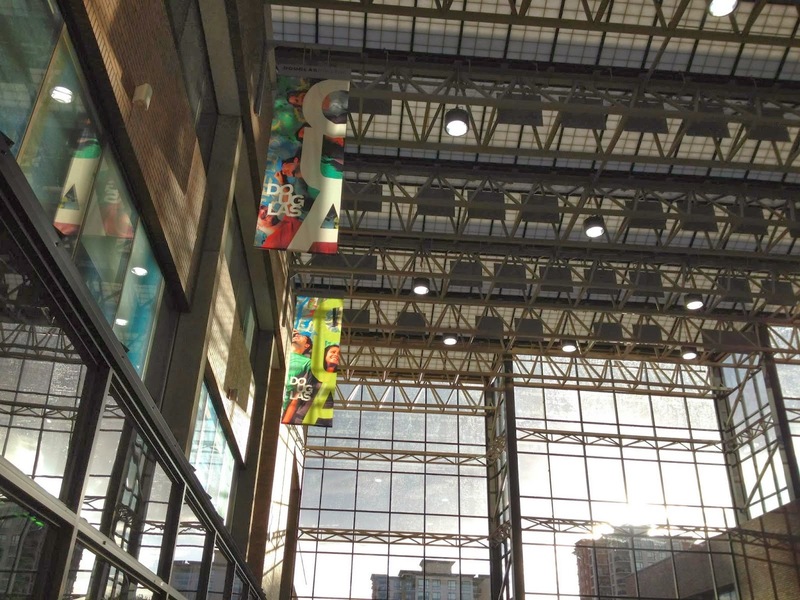 The sale takes place March 17-21 from 10am-5pm in the New Westminster campus concourse. 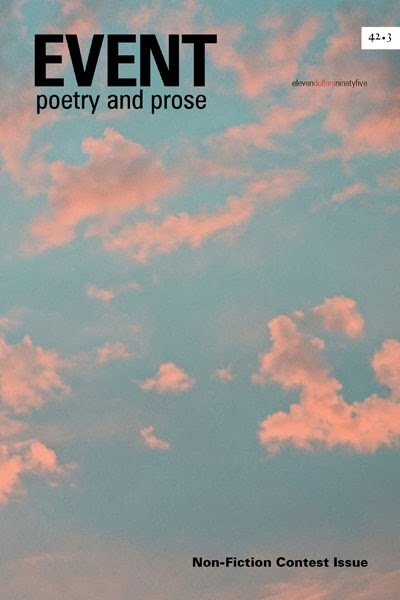 Published three times per year, EVENT features fiction, poetry, non-fiction and book reviews by emerging and established writers. Donations of books, CDs, DVDs and magazines are being accepted for the fundraising sale. 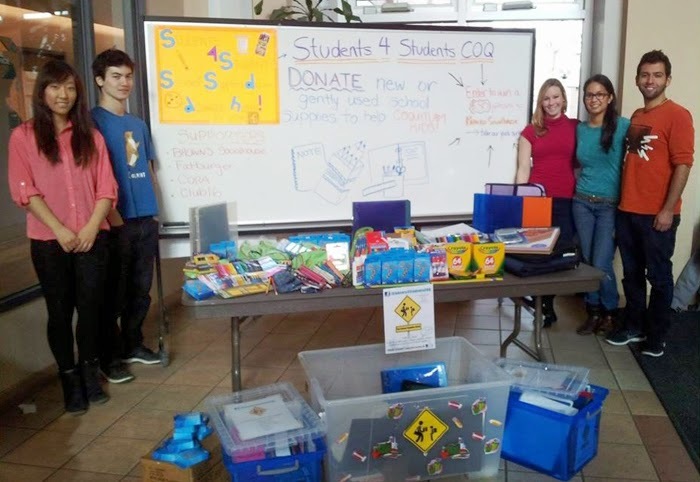 Drop off any donations at the Faculty of Language, Literature and Performing Arts Office, room 2600 on the New Westminster campus, or at the Foundation office at the David Lam campus. For more information, contact EVENT by email or by phone at 604 527 5293. Check out EVENT's new website here. This week at Douglas College: Oscar Wilde play, A Dream Play, election info forums and more! The departments of Theatre and Stagecraft & Event Technology present Oscar Wilde’s The Importance of Being Earnest. More info here. Learn about the Aboriginal Child, Family and Community Studies Stream. For more info, contact Dallis Warren. Learn about running for elected student positions on the College Board and Education Council. More info here. 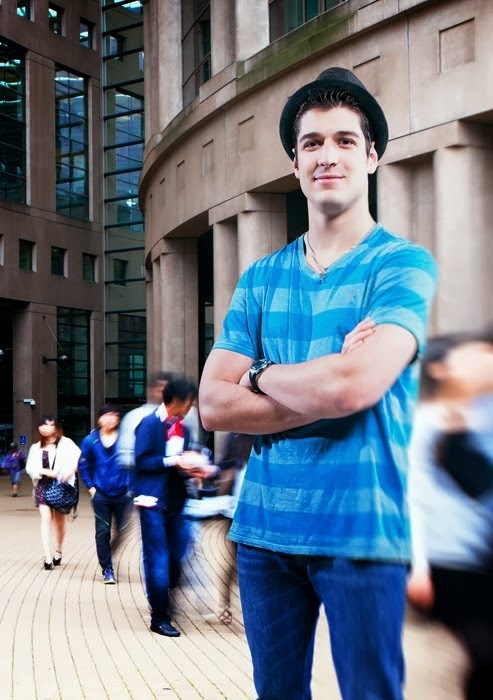 What can an Associate of Arts degree at Douglas College do for you? Choose from a variety of academic disciplines, earn a credential and graduate with 60 university-transferable credits. Find out more during two informational events taking place at both of the college's campuses. Academic advisors, faculty members and Associate of Arts students will be on hand to answer your questions. More information about Associate of Arts Degrees is available here. a PhD from the University of Sydney. 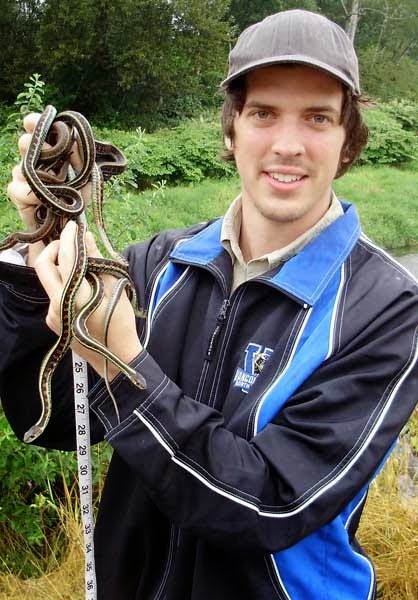 Growing up, Joshua Amiel enjoyed hunting for the small reptiles that lurked near the waterways in Maple Ridge and Pitt Meadows. Having recently earned a PhD, the biology expert now finds that fascination with cold-blooded critters at the centre of his research. “I was always interested in catching snakes and amphibians and things,” says Joshua, a former science student at Douglas College. These days, lizards are Joshua’s reptile of interest. During his doctoral research at the University of Sydney in Australia, he studied brain development and intelligence in the three-lined skink, a mountain-dwelling lizard species. Previous research showed the lizards would grow larger if their eggs were incubated at warmer temperatures. Joshua had his own question: How would warmer incubation temperatures affect their brains? To find out the answer, Joshua collected eggs from the wild and incubated them in the lab, either at a warmer or colder temperature. Once the eggs hatched, he gave the different groups of lizards a series of behavioural tests. The experiments assessed how intelligently the lizards responded to fake predator attacks, mazes and memory tests. “Essentially, the lizards that were incubated at hot temperatures were smarter than the cold ones,” says Joshua, who is back living in Vancouver. It was an interesting finding, but there was still the question of why the hot-incubated lizards exhibited more intelligence. Joshua looked into how brain shape differed between the more-intelligent and less-intelligent lizards. But bigger doesn’t necessarily mean better. As Joshua also found, the brains of the hot-incubated lizards had more neurons that were more densely packed together. His research was praised by those in his field and attracted interest from international media. Looking back on his path to scientific success, Joshua credits the role Douglas College played. As a student at the college a decade ago, he says he was struggling without a long-term career goal. Then he took an introductory biology course and something clicked. “All of a sudden I found something that I was passionate about. From there, my whole future changed,” he says. After earning an associate degree from Douglas College and a bachelor’s degree from Dalhousie University in Halifax, he was accepted directly into the PhD program at the University of Sydney. “I attribute a great deal of my success to the strong start Douglas College gave me,” he says. More information about the Douglas College Biology program is available here. Nominations are now being sought for candidates to fill student representative positions on the College Board and Education Council. The positions—two on the board and four on the council—each have a one-year term, commencing on Sept. 1. The nomination period closes on Monday, March 17, 2014 at 4pm. Information about the elections as well as nomination forms can be found at the Registrar's office at both campuses as well as at the Douglas Students’ Union Offices and at the Douglas College elections website here and here. If you plan to attend, please register with Board Executive Assistant Shelagh Donnelly by email or phone at 604 527 5388. 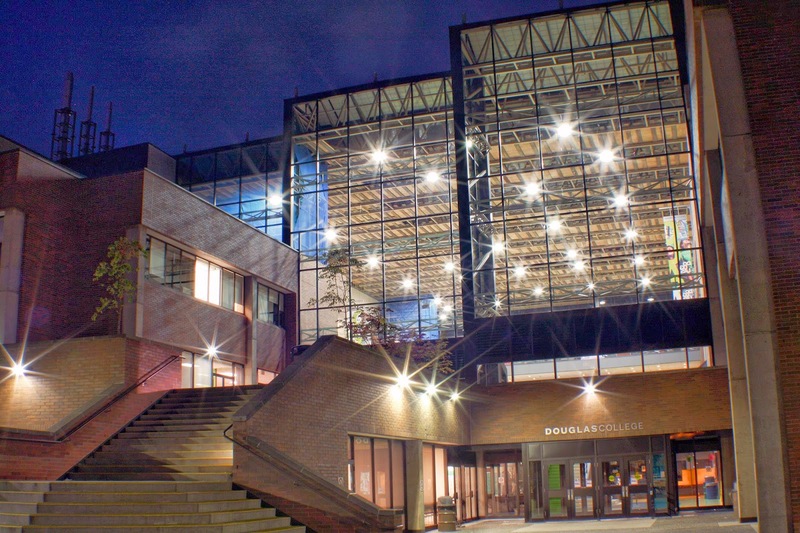 This week at Douglas College: Games Expo, Oscar Wilde play, Career Fair and more! The Douglas College Alumni Association, Co-op Education and the Student Employment Center are proud to welcome you to our 24th annual Career Exploration Fair. More info here. Learn about the Australia Field School taking place in the Summer Semester. More info here. Enjoy playing video games, board games and more during this free Games Expo. More info here.